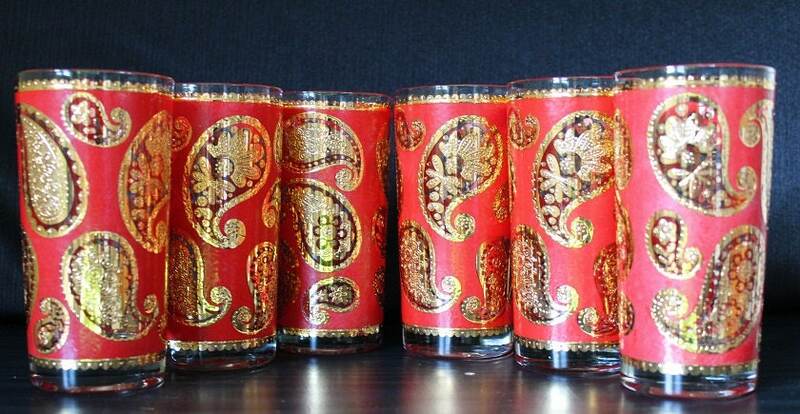 Make a statement at your next party with these Culver glasses. 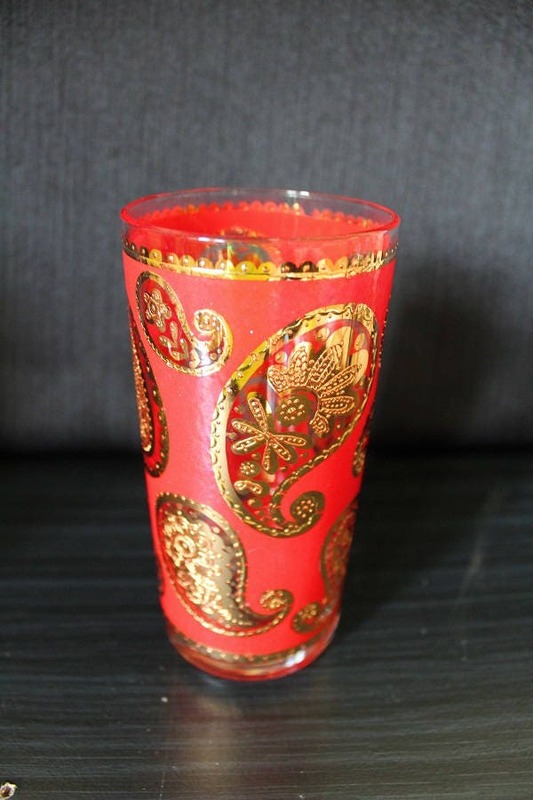 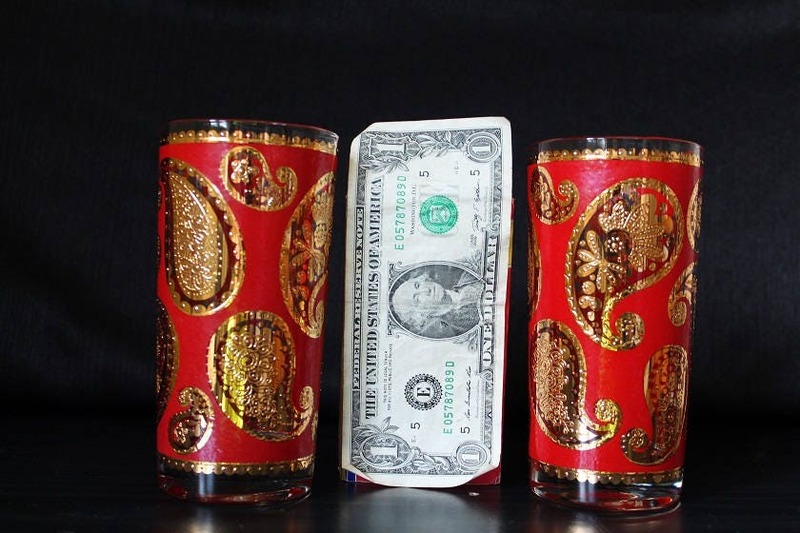 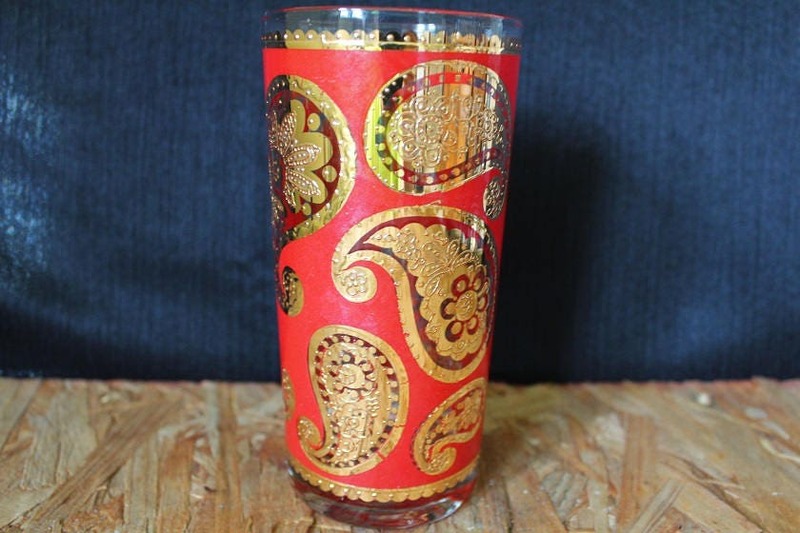 They feature an overall red background color with 22k paisley design circling around the glass. 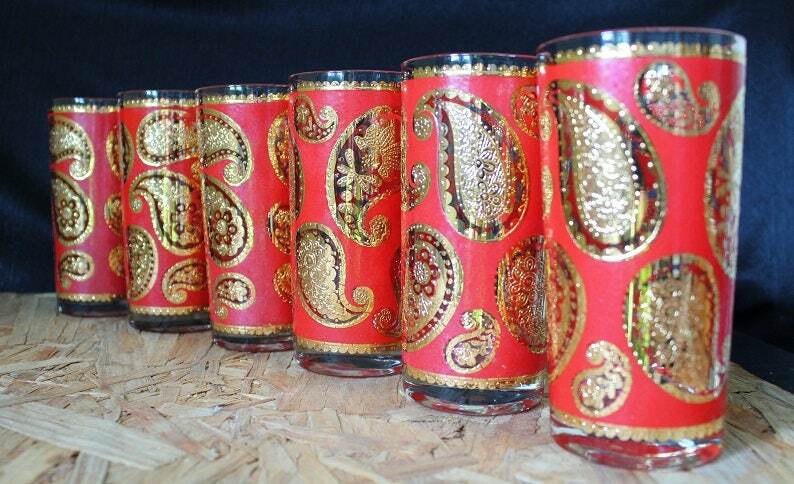 These decorative glasses are clear at the rim and base.